Be the first mover (again)! 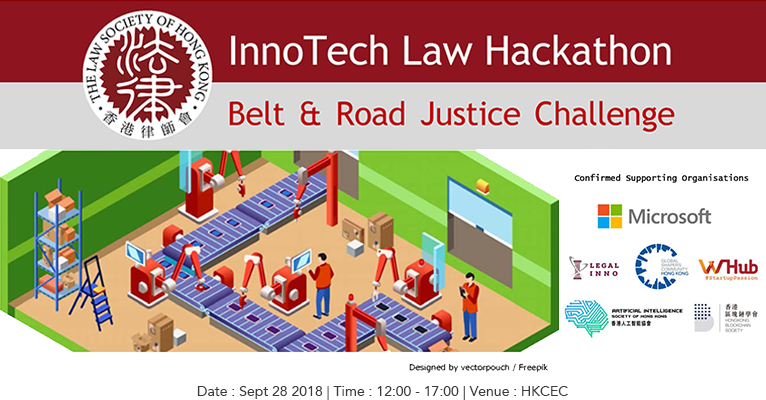 The Law Society of Hong Kong will host the first ever Belt & Road Justice “BRJ” Challenge, building on the April “A2J” Hackathon's success. Who should join the BRJ Challenge? Apply by 7 September 2018!! When: 28 September 2018 (Fri), 12-5p.m.